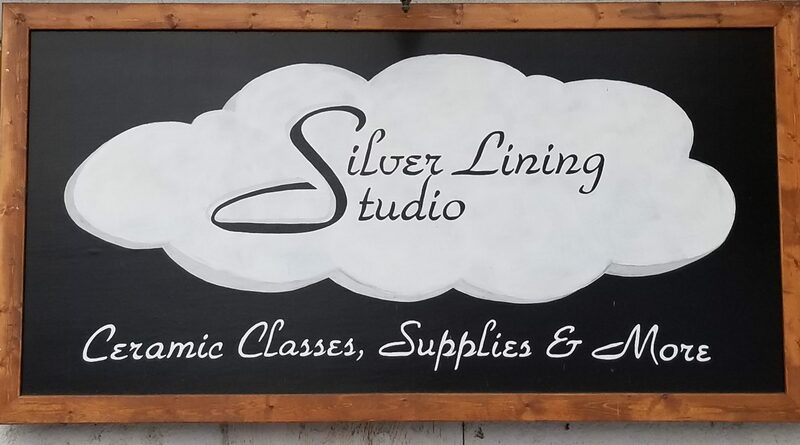 Silver Lining Studio is a traditional ceramic studio in Oyama, British Columbia offering regular classes and a relaxing place to paint and learn new techniques. Whether an experienced artist or new to ceramics, Silver Lining has welcomed students for nearly two decades in the same studio location and continues to welcome new and regular students eager to learn while producing their works of art. Regular classes are studio time with guidance and personalized instruction that give students the chance to work on the project they choose. Though we do not offer classes at any time on Thursdays, we are open from 10 – 4 for customers to browse the studio, make inquiries, pick our brains on project ideas and purchase products. If possible, we strongly encourage those coming to place or pick up their orders, or shopping for products, to come during this time rather than while we are open for classes. Seminars are seasonal day-length single classes where students learn an advanced technique not offered (or not available) in a regular class. We offer two to three different seminars per month, ranging in techniques and styles from detail painting to hand-building with clay. It is required for anyone interested in a specific seminar to contact the studio directly, as spaces are limited and often fill quickly. Additionally, it is recommended for those new to ceramics to attend at least one regular class or stop by on a Thursday to discuss the requirements for the seminar.